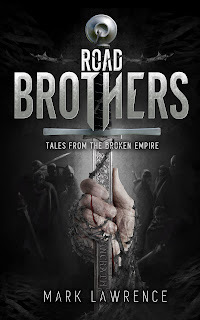 If you're a fan of The Broken Empire saga, then you know that it was very much Jorg's tale. While every reader has a favorite from his band road brothers, we really only got to know them through their interactions with their Prince/King. Any background that we were able to glean came largely from conversations on the road. 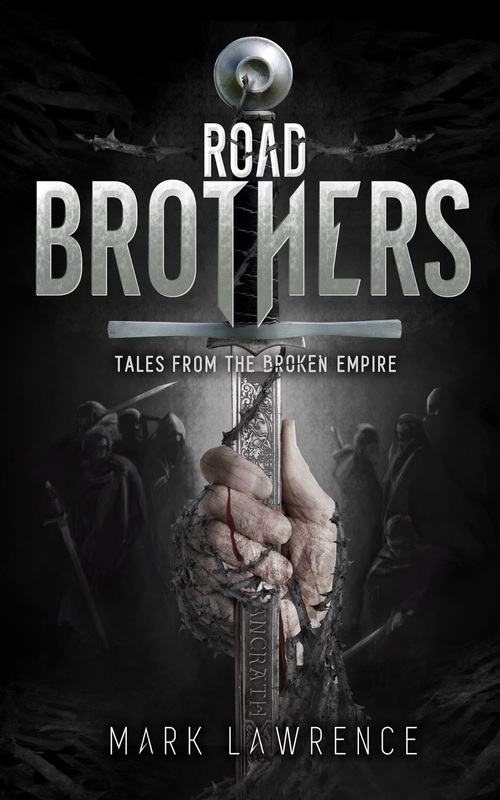 With Road Brothers: Tales from the Broken Empire, Mark Lawrence allows many of those brothers to step off the road and tell their own tales. 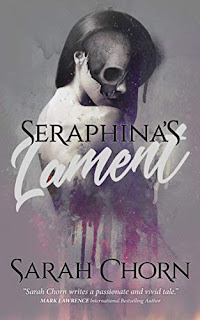 These are stories that strip away the rough layers of bravado and expose the truth about who they were, and how they came to be the men that Jorg allowed us to know. Sleeping Beauty are Select Mode are the two Jorg-centric stories here, and either one could be a missing chapter from the original trilogy. Both make interesting use of Builder technology, with the former an entirely chilling tale, and the latter a more humorous one. Hakin and the Nuban get a chance to shine here. As for the other stories, they allow Makin, Red Kent, Brother Sim, Rike, the mutant Gorgoth, and Father Gomst all to have their moment in the spotlight. 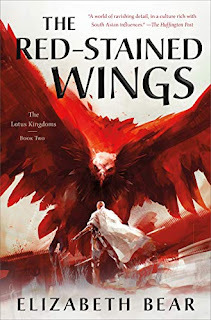 As an added bonus for fans of The Red Queen's War, we even get to meet Snorri ver Snagason’s father in one of the tales. Rather than feeling like missing chapters, these are clearly side stories that would have interrupted the flow of Jorg's tale. Having said that, they're all fascinating character studies and really do serve to shed some additional light on the series. If you haven't already read The Broken Empire, then step back . . . put the book down . . . and do yourself a favor by picking up the first three books. Not only do spoilers abound here, but you really do need the background to appreciate the significance of what's been revealed here. If you are already a fan, then this is a perfect chance to reconnect with the characters, and a perfect way to pass the time while we wait for The Wheel of Osheim this summer. Stepping back and won't read this one first. Thanks for the alert on that. I haven't read the Broken Empire saga before. I do like the synopsis of this book, and the series sounds interesting. Great stuff, I can't wait to read them all. Oh, sounds great. The brothers were definitely an interesting bunch! Curious to see whats in store when they get to tell their own stories. I loved this. 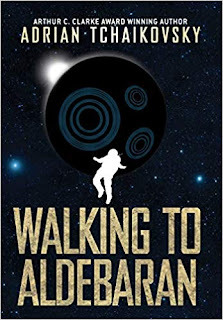 I'm not usually overly keen on short stories but these really worked - it's the difference I suppose of having a full background of the world and the characters already firmly in mind. Fantastic, I really need to go get myself a copy of this.